In the shops of London's Oxford Street, girls wear patterned scarves over their hair as they cluster around makeup counters. Alongside them, hip twenty-somethings style their head-wraps in high black topknots to match their black boot-cut trousers. Participating in the world of popular mainstream fashion-often thought to be the domain of the West-these young Muslim women are part of an emergent cross-faith transnational youth subculture of modest fashion. In treating hijab and other forms of modest clothing as fashion, Reina Lewis counters the overuse of images of veiled women as "evidence" in the prevalent suggestion that Muslims and Islam are incompatible with Western modernity. Muslim Fashion contextualizes modest wardrobe styling within Islamic and global consumer cultures, interviewing key players including designers, bloggers, shoppers, store clerks, and shop owners. 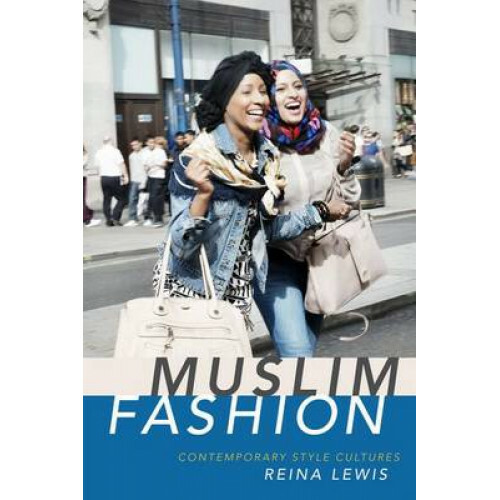 Focusing on Britain, North America, and Turkey, Lewis provides insights into the ways young Muslim women use multiple fashion systems to negotiate religion, identity, and ethnicity. Reina Lewis is Professor of Cultural Studies at the London College of Fashion, University of the Arts London, and the author of Rethinking Orientalism: Women, Travel and the Ottoman Harem.